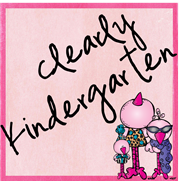 Well I have decided it is time to blow the dust off of this little old blog of mine! I just looked and can't believe that the last time I posted it was 2013...WHAT! HOW DID THAT HAPPEN??? I guess I just have been uninspired, which is why when I saw the TPT Seller Challenge I knew I had to join! 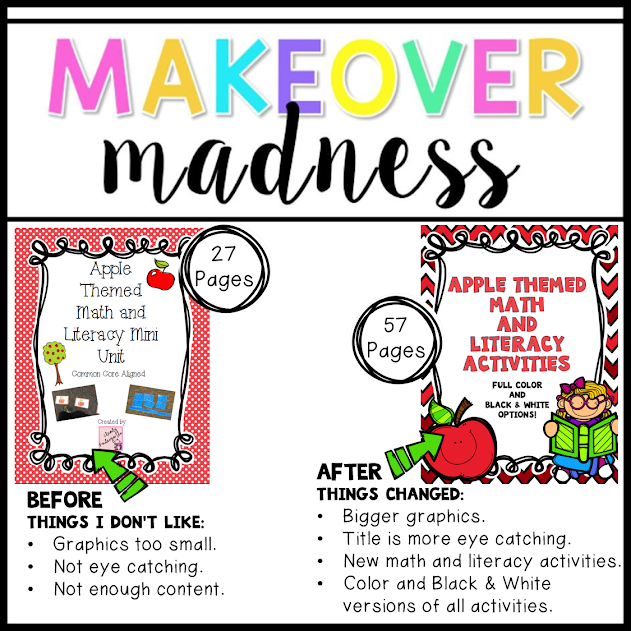 When I saw the first challenge was the makeover of a TPT product there was no question it would be my Apple Math and Literacy Activities. This was my very first product and I gave the cover an update a year or so ago but I was still not happy with it. I have gotten tons of great new clip art so it was time to go to work. I had no idea that it would take me over a week and would lead to adding more activities to the pack, updating all of the clip art, adding color and black and white versions of almost everything, and redoing the preview for TPT as well! Whew it was A LOT of work but TOTALLY worth it! I just love how it turned out! And I am impressed that I remembered how to blog! Now my new challenge is to keep blogging! I think I can.... I think I can.... I think I can!!!! On to this weeks challenge! Thanks to The Peppy Zesty Teacherista, Third In Hollywood, Sparkling In Second and Teach Create Motivate for such a great challenge! You've done a great job! I give you a piece of advice, hire a first class specialist from http://top-essays-uk.com/, and you'll get more visitors.